$ printf "abcdef:ab:a\n1:2:3\n4:5:6\n" | column -t -s":"
$ date -u +"%Y-%m-%d %H:%M:%S"
fcrackzip, a fast/free zip password cracker. $ fdupes -d -N .
$ find . -name "*.pl" -o -name "*.pm"
$ find . -regex ". *\.\(pl\|pm\)"
$ find . -name "*.pl" -o -name "*.pm" -print0 |xargs -0 rm    # Wrong! The following is an abstract grammar defining the DOT language. Terminals are shown in bold font and nonterminals in italics. Literal characters are given in single quotes. Parentheses ( and ) indicate grouping when needed. Square brackets [ and ] enclose optional items. Vertical bars | separate alternatives. The keywords node, edge, graph, digraph, subgraph, and strict are case-independent. Note also that the allowed compass point values are not keywords, so these strings can be used elsewhere as ordinary identifiers and, conversely, the parser will actually accept any identifier. The -e argument has 5 parts separated by whitespace. An optional starting string (in quotes) which is printed beforeeach conversion. In the first example below we are printing x beforeeach hex character ("x"). An interation count which defaults to 1 if not supplied but hasto be supplied if you want a byte count. This tells how many times todo the conversion before we print the end string. So if you weredecoding 4 things, each of 1 byte, you'd say 4/1. A byte count which is separated from the interation count by a /.I don't think there is a way to specify a byte count without aninteration count. This specifies how many bytes are in each item thatis being decoded. A sprintf format. The manual is somewhat useful here. Somestandard ones apply and there are _ extensions. In the first examplebelow this is "%02X" which prints each byte as a 2 character, 0prefixed capital hex number. An optional ending string (in quotes) which is printed after theconversion. A space in the first example below (" "). NOTE: the trailing space in "%2X " format will not be printed at the end of each interation. * Latex-Manual: (/home/user1/info/latex-manual). Latex Manual. --export-pdf-version=PDF_VERSION      Export PDF to given version. export dialog, e.g. "PDF 1.4"
--export-latex                        Export PDF/PS/EPS without text. on top of the PDF/PS/EPS file. --verb=VERB-ID                        Verb to call when Inkscape opens. ipcs -p option displays creator id, and process id which accessed the corresponding ipc facility very recently. ipcs -i option provides detailed information about an ipc facility. 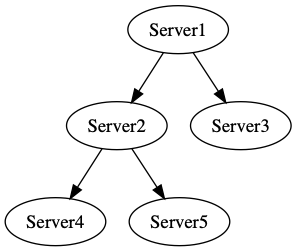 Option -i with -q provides information about a particular message queue. Option -i with -s provides semaphore details. Option -i with -m provides details about a shared memory. Q: How do I determine what process is attached to a shared memory segment? how do I figure out which two processes are attached to segment 98305? Kazam provides a well designed and easy to use interface for capturing screencasts and screenshots. It can record desktop video and multiple audio streams simultaneously with control over audio levels and the screen region being captured. ⇒The argument are  and . ⇒The argument are 1 and 3.
od - dump files in octal and other formats. $ pgrep -u root "^s"
Samba is a free software re-implementation of the SMB/CIFS networking protocol. useradd is native binary compiled with the system. In Debain systems, adduser is a perl script which uses useradd binary in back-end. In Redhat systems, adduser is present as a symbolic link to useradd command. $ xrandr --addmode OUTPUT 1024x1600_60.00   # you need change OUTPUT to VGA-0/default/etc. Wine (recursive acronym for Wine Is Not an Emulator) is a free and open source compatibility layer software application that aims to allow applications designed for Microsoft Windows to run on Unix-like operating systems. wkhtmltopdf and wkhtmltoimage are open source (LGPLv3) command line tools to render HTML into PDF and various image formats using the Qt WebKit rendering engine. xargs reads items from the standard input, delimited by blanks (which can be protected with double or single quotes or a backslash) or newlines, and executes the command (default is /bin/echo) one or more times with any initial-arguments followed by items read from standard input. Blank lines on the standard input are ignored. xhost is a program that controls access for X server. xmodmap is a simple tool that lets you remap/swap keys for apps running under X11. xsel是对X selection操作的程序。The X server maintains three selections, called PRIMARY, SECONDARY and CLIPBOARD. Q. Tell me more about the CobolTransformer Cobol parser. A. It is written in BackTracking Yacc and C++. Lex is not used, lexer is written in C++. BackTracking Yacc is freely available fromhttp://www.cobolproducts.com/btyacc/. It is a regular Berkeley Yacc with modifications by Chris Dodd and by Vadim Maslov of Siber Systems. The most important improvement for us is that BtYacc may backtrack and thus parse languages that require lookahead of more than 1. Cobol is one of these languages.